OrthodonticMarketing.net has recently been featured in the June 2016 issue of Orthotown Magazine, a publication for the professional orthodontic community. Orthotown was created for and is curated by orthodontic specialists, so we were happy to be able to share our insights and discuss industry trends with the orthodontic community. Did you know that studies have shown that more than 76 percent of dentists are now providing orthodontic services to their patients? Therefore, it is crucial for orthodontists to create top-of-mind awareness within their communities so that patients will think of them when it comes to improving their smiles. 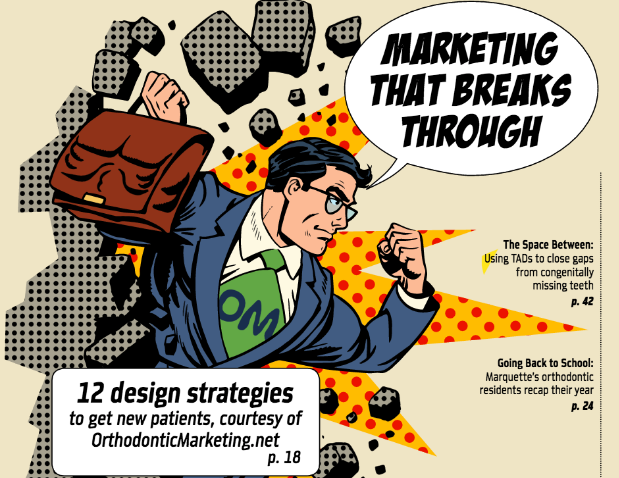 In this issue, OrthodonticMarketing.net reveals design strategies that will help orthodontists increase awareness of their practices, bring in new consults and starts, and get the best return on their investments. Head over to Orthotown Magazine and read the full feature to discover more about designing the best patient-producing postcards.